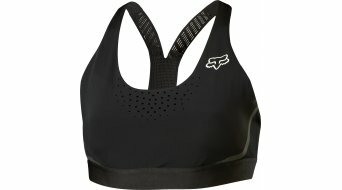 Do ladies really need an appropriate cyclist's bra for cycling? The question is justified. But if subject lady is riding her bike regularly by consistently training, she'll come to appreciate such a bike bra rather quickly. A sports bra for cycling should not slip and especially in the sitting posture requiring to permanently lean forwards, the sports bra must support the breast well and must score with appropriate compression material. It should not disturb the arms, which fit snugly to the body, with superfluous fabric or even pinch. The fact that it provides a wider cut at the arms also differentiates it from a sports bra used for running. Bike-specific bras for ladies provide not only a good support but of course also a great wearing comfort and an optimum moisture management. Comfortable shoulder straps and soft cuffs round off the entire look. 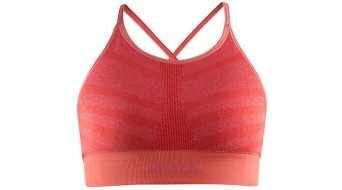 Here, you'll find sports bras from X-Bionic and Craft at favourable prices so that you'll have an all-round feeling of well-being.